Peers trust peers. Plugged-in marketers know about the Edelman Trust Barometer. But in the end there’s no rocket-science behind this. You, dear blog reader, don’t trust strangers for starters. And people in similar jobs as yours, who have something interesting to say, well… you find them interesting. CTO’s are connected with their fellow CTO’s. CMO with CMO’s. Middle Management trusts Middle Management. You could call these circles of people “Tribes.”. The question is: how do you enter that circle as a vendor? How do you enter that circle in an authentic way? In a way which is relevant to the Tribe? In a way that doesn’t damage your reputation as a vendor? And more important: how do you enter that circle in a way that these Tribes start considering you as a top-of-mind brand and go-to-resource for answers to their questions? With an end-goal of them trusting you enough to open their wallets. Vendors entering the trusted circle of these tribes need to be very careful. Buyers will not trust you when you try to enter their Tribe. The’ll be extremely cautious, because there’s must be some commercial reason for this vendor to enter their Tribe. If they even pay attention to you at all when you enter their tribe. Knowing Tribe members trust each other, content produced by Tribe members is highly valued. Any Tribe member violating the unwritten rule of ‘you shall not be bribed by vendors to vent positive news about vendors’ is killed on the spot. And with that, you as a vendor. Content produced by Tribe members is trusted. So it’s a matter of having that Tribe produce content which can be directly related to topics of interest for your company. If your business interest is in the growth of a certain technology, the Tribe needs to vent their believe in that technology. If your business has a benefit in a certain market trends, the tribe needs to endorse this trend. Or if your business wants to stop a trend, you might seek arguments inside the tribe to actually try to influence that. 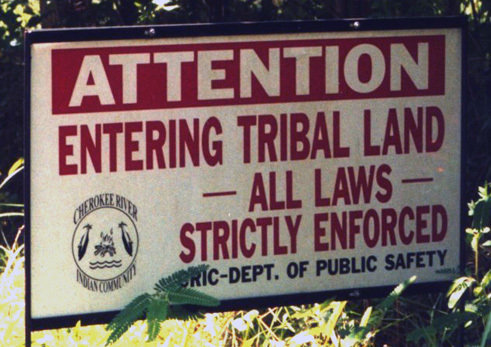 Wouldn’t that be nice: a Tribe collectively moving in the direction you want them to move? Creating unique data is a powerful way to gain attention from a Tribe. Many Tribe members are actually seeking answers, and in many ways they are just looking to their industry colleagues. If that market leader believes that’s the way to go, then I’ll follow him. If you can create unique data about how the whole Tribe feels about a certain subjects, you are being relevant for the Tribe. Because you are aggregating the common opinion of the Tribe into meaningful data. Create a survey, which is ideally promoted by an independent organization in your industry. In order to get your tribe to participate, give them something valuable like a whitepaper. Also through the same survey, collect top-of-mind questions Tribe members might have. Don’t publish the results right away. Split up this valuable content in other usable pieces like a number of blog post, slowly releasing the first results. Organize a webinar in which you fully release the results. Ideally this webinar has guest speakers consisting of trusted ‘Tribe members’. Additionally you can organize panel discussions during tradeshows or conferences discussing the most remarkable results form the survey. Keep being relevant by simply answering the questions you received through that survey. And remember, everything you do should be promoted through social media. Because you want the Tribe to see that you are doing this. This is powerful stuff, trust me ;-). But it makes sense, doesn’t it? If the common opinion of a Tribe is in your interest, why not bringing that out in the open and using it to your benefit? And there’s nothing un-ethical in this. You won’t be able to do this if you have fake intentions. The Tribe will smell that from kilometers away (yes kilometers, not miles, I’m a European). The’ll kill you on the spot if you break their trust. But if you really mean it, if you really, really, really want to help that Tribe, then you are on a roll. Then you mean something to them. Next time you have something to say, the’ll listen. Because they trust you. Because you just entered their Tribe. Probably never as a real Tribe member. But always a little bit more than an outsider. Do you have examples in which you managed to enter a Tribe? I am really interested in learning from you. P.S. If you liked this article, please share !